All the best Dodge Chrysler Jeep® Ram models can be found at Palmer Dodge Chrysler Jeep Ram. We know people in Woodstock deserve the best, and we hope you’ll give us the chance to provide you with it. Our website hosts our inventory of quality new and used vehicles for anyone in the Woodstock area to browse at their leisure. We understand everyone has different needs of their day-to-day driving, and so we maintain a wide inventory of vehicles to ensure you find the one of your dreams. Are you searching Georgia for a pre-owned car? 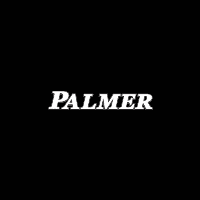 Start and end your search with Palmer Dodge Chrysler Jeep Ram and save thousands. Our used inventory has an extensive variety of cars, trucks, and SUVs by many of today’s top automakers. Where Can I Obtain an Auto Loan and Car Financing Near Woodstock, GA? People deserve to be able to afford a car that supports them, and Palmer Dodge Chrysler Jeep Ram is dedicated to making that happen. Our qualified professionals can help anyone achieve an auto lease or car loan in Georgia, even those with not so perfect credit! So please contact us. We’re excited to help! Where Can I Order Auto Parts or Get My Vehicle Repaired in The Woodstock Area? Our Dodge Chrysler Jeep® RAM car repair center located near Woodstock Georgia has the resources to make your vehicle run as if you’d just bought it. If you’re having trouble finding certain parts or accessories, our friendly staff can help you. If you’re interested in what our service can offer you then please arrange an appointment for your vehicle.